Our Tracker Mobile software is powered by Mobile Data Studio, software from our Australian software partners. 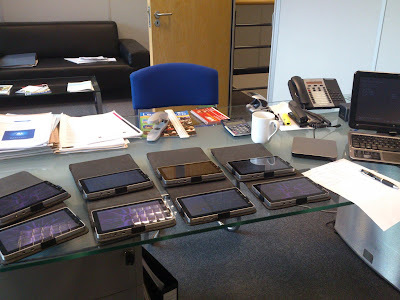 Tracker Mobile will work on Windows 6.5 phones and tablets, Android phones and tablets, and iPhones/iPads but it hasn't worked well (up till now!) on Windows 7 laptops and tablets. A new "Android emulator" is set to change this, as it gives Windows 7 laptops and tablets the ability to run Android software. The emulator program is called Bluestacks App Player and is available from http://bluestacks.com/. We're testing it now and if it appeals to you, get in touch and we'll tell you how our testing has gone!